With over 700 million active users on Facebook, it’s no wonder why it remains the biggest marketing platforms for small businesses. But with so many pages out there, a mere presence on Facebook isn’t going to help your small business. You’ve got to battle it out with other small business Facebook pages. And to win the game, you would need to ensure that when visitors come to your Facebook page, it’s their experience, their voice and their taste they see. That’s the kind of creative work you need; one that can make your target audience bow in awe of your brand’s greatness and might. 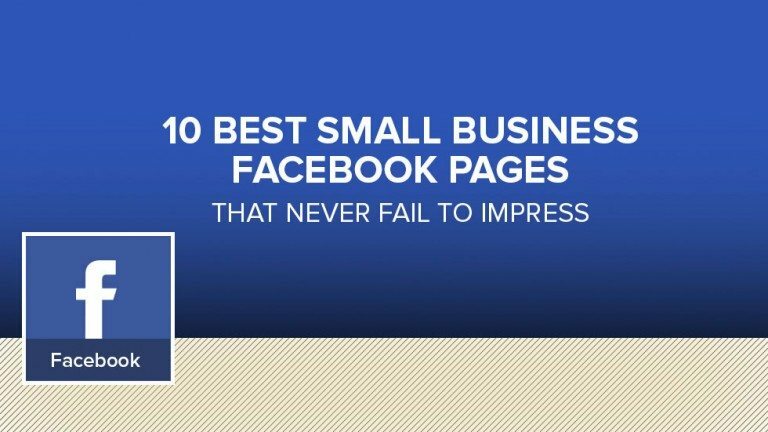 Here, we present to you 10 best small business Facebook pages that never fail to impress and inspire. RecruitMilitary is one of the most sought-after military-to-civilian recruiting firm based in the USA. Its Facebook page features tons of great images and quotes. But what’s really commendable is the way it uses Facebook events to its advantage. With great posts on military facts, pictures and resources, RecruitMilitary do a great job of creating a marvelous user experience. It’s difficult not to talk about Hired My Way when talking about some of the best small business Facebook pages. With it’s eye-catching and creative Facebook design that promotes the brand, the company makes it easy to understand why it’s so loved by its fans and followers. Hired My Way has a special custom tab with a referral program. In addition, it allows users to visit its blog directly from its Facebook page with a link to the company blog in the menu. Livescribe is yet another Facebook small business page that ranks high on the popularity polls on Facebook connoisseurs. With awesome functionalities integrated into their Facebook page, Livescribe ensures a pleasant experience for their Facebook fans and followers. Popular travel agency boasts off a great Facebook Page design that features special tabs and functionalities to provide trip and tour reviews to global nomads. In addition, the company also ensures tabs to ensure that users are able to search and book trips without leaving the Facebook page. Another company that’s well known for its amazing Facebook page design is Zappos. Zappos brilliantly uses a Facebook call to action to its advantage. The page offers users to buy directly from company’s Facebook site from “Shop Now” tab. In addition, the high-definition and high-resolution images on the page add glittering stars to its popularity. The popular casual apparel and gifts seller, Legendary Whitetails never fails to impress visitors with its great cover photo. In addition, Legendary Whitetails make brilliant use of Facebook reveal tab. Everything on the page from color to image and fonts to the overall voice in the design speaks to the target market and resonates with them in the best way. No wonder, Legendary Whitetails small business Facebook pages are sought after. It seems as if ONA understands the rule of the Facebook game quite well. No wonder, it holds the attention of its target audience and holds it long enough until they’ve paid for their services. Its Facebook page never fails to captures their target audience’s interest right from the get-go. In fact, everything on the page—from the content to the design—all come together in a way that makes customers want to know more about this brand. Organization is the key to success of your page design and Hyperbeast understands it quite well. It’s Facebook page is laid out in such a way that certain elements in the page pop up. For instance, in the grand scheme of things, important links are clearly visible to the users. Contact details are easy to find. But what’s more important is that these elements are in a clutter-free space. How to Market Your Horse Business is yet another classic example of award-winning social media page that inspires awe. Visitors often shy away from text-heavy pages. Quite naturally, How to Market Your Horse Business page ensure good visual branding and a great cover photo. They post images that showcase their services and convey their brand’s personality. In addition, they also use images that appeal to the emotions of their audiences. Burt’s Bee is yet another small business Facebook page that takes elements of the business and showcases those elements to the world in a way that’s even more awesome. The page is compelling enough and doesn’t allow visitors to get away, at least not right that instant, or anytime soon. So they end up hooked and Burt’s Bees ends up adding another batch of happy consumers to their ever-growing list of customers.